The meeting spanned two days and six sessions, and included a lecture on law, a humorous presentation, and multiple discussions about the role of women in society. These amazing women presented two prepared documents, the Declaration of Sentiments and an accompanying list of resolutions, to be debated and modified before being put forward for signatures. Exactly 100 of approximately 300 attendees signed the document, mostly women. What is amazing is that we are still fighting and demanding some of these same concepts today. In honor of these women who came before us to “fight the fight” we honor the path they made and are continuing to push the rights of women forward. The following are the women who led this incredible convention and a copy of the Declaration of Sentiments they created. On the morning of the 19th, the Convention assembled at 11 o’clock. . . . The Declaration of Sentiments, offered for the acceptance of the Convention, was then read by E. C. Stanton. A proposition was made to have it re-read by paragraph, and after much consideration, some changes were suggested and adopted. The propriety of obtaining the signatures of men to the Declaration was discussed in an animated manner: a vote in favor was given; but concluding that the final decision would be the legitimate business of the next day, it was referred. Resolved, That such laws as conflict, in any way, with the true and substantial happiness of woman, are contrary to the great precept of nature, and of no validity; for this is “superior in obligation to any other. Resolved, That all laws which prevent woman from occupying such a station in society as her conscience shall dictate, or which place her in a position inferior to that of man, are contrary to the great precept of nature, and therefore of no force or authority. Resolved, That woman is man’s equal—was intended to be so by the Creator, and the highest good of the race demands that she should be recognized as such. Resolved, That the women of this country ought to be enlightened in regard to the laws under which they -live, that they may no longer publish their degradation, by declaring themselves satisfied with their present position, nor their ignorance, by asserting that they have all the rights they want. Resolved, That inasmuch as man, while claiming for himself intellectual superiority, does accord to woman moral superiority, it is pre-eminently his duty to encourage her to speak, and teach, as she has an opportunity, in all religious assemblies. Resolved, That the same amount of virtue, delicacy, and refinement of behavior, that is required of woman in the social state, should also be required of man, and the same tranegressions should be visited with equal severity on both man and woman. Resolved, That the objection of indelicacy and impropriety, which is so often brought against woman when she addresses a public audience, comes with a very ill grace from those who encourage, by their attendance, her appearance on the stage, in the concert, or in the feats of the circus. Resolved, That the equality of human rights results necessarily from the fact of the identity of the race in capabilities and responsibilities. Resolved, therefore, That, being invested by the Creator with the same capabilities, and the same consciousness of responsibility for their exercise, it is demonstrably the right and duty of woman, equally with man, to promote every righteous cause, by every righteous means; and especially in regard to the great subjects of morals and religion, it is self-evidently her right to participate with her brother in teaching them, both in private and in public, by writing and by speaking, by any instrumentalities proper to be used, and in any assemblies proper to be held; and this being a self-evident truth, growing out of the divinely implanted principles of human nature, any custom or authority adverse to it, whether modern or wearing the hoary sanction of antiquity, is to be regarded as self-evident falsehood, and at war with the interests of mankind. When, in the course of human events, it becomes necessary for one portion of the family of man to assume among the people of the earth a position different from that which they have hitherto occupied, but one to which the laws of nature and of nature’s God entitle them, a decent respect to the opinions of mankind requires that they should declare the causes that impel them to such a course. We hold these truths to be self-evident: that all men and women are created equal; that they are endowed by their Creator with certain inalienable rights; that among these are life, liberty, and the pursuit of happiness; that to secure these rights governments are instituted, deriving their just powers from the consent of the governed. Whenever any form of Government becomes destructive of these ends, it is the right of those who suffer from it to refuse allegiance to it, and to insist upon the institution of a new government, laying its foundation on such principles, and organizing its powers in such form as to them shall seem most likely to effect their safety and happiness. Prudence, indeed, will dictate that governments long established should not be changed for light and transient causes; and accordingly, all experience hath shown that mankind are more disposed to suffer, while evils are sufferable, than to right themselves by abolishing the forms to which they are accustomed. But when a long train of abuses and usurpations, pursuing invariably the same object, evinces a design to reduce them under absolute despotism, it is their duty to throw off such government, and to provide new guards for their future security. Such has been the patient sufferance of the women under this government, and such is now the necessity which constrains them to demand the equal station to which they are entitled. Having deprived her of this first right of a citizen, the elective franchise, thereby leaving her without representation in the halls of legislation, he has oppressed her on all sides. He has made her, morally, an irresponsible being, as she can commit many crimes with impunity, provided they be done in the presence of her husband. In the covenant of marriage, she is compelled to promise obedience to her husband, he becoming, to all intents and purposes, her master—the law giving him power to deprive her of her liberty, and to administer chastisement. He has so framed the laws of divorce, as to what shall be the proper causes of divorce; in case of separation, to whom the guardianship of the children shall be given; as to be wholly regardless of the happiness of women—the law, in all cases, going upon the false supposition of the supremacy of man, and giving all power into his hands. After depriving her of all rights as a married woman, if single and the owner of property, he has taxed her to support a government which recognizes her only when her property can be made profitable to it. He has monopolized nearly all the profitable employments, and from those she is permitted to follow, she receives but a scanty remuneration. He closes against her all the avenues to wealth and distinction, which he considers most honorable to himself. As a teacher of theology, medicine, or law, she is not known. He allows her in Church as well as State, but a subordinate position, claiming Apostolic authority for her exclusion from the ministry, and, with some exceptions, from any public participation in the affairs of the Church. He has created a false public sentiment, by giving to the world a different code of morals for men and women, by which moral delinquencies which exclude women from society, are not only tolerated but deemed of little account in man. He has usurped the prerogative of Jehovah himself, claiming it as his right to assign for her a sphere of action, when that belongs to her conscience and her God. He has endeavored, in every way that he could to destroy her confidence in her own powers, to lessen her self-respect, and to make her willing to lead a dependent and abject life. Now, in view of this entire disfranchisement of one-half the people of this country, their social and religious degradation,—in view of the unjust laws above mentioned, and because women do feel themselves aggrieved, oppressed, and fraudulently deprived of their most sacred rights, we insist that they have immediate admission to all the rights and privileges which belong to them as citizens of these United States. In entering upon the great work before us, we anticipate no small amount of misconception, misrepresentation, and ridicule; but we shall use every instrumentality within our power to effect our object. We shall employ agents, circulate tracts, petition the State and national Legislatures, and endeavor to enlist the pulpit and the press in our behalf.We hope this Convention will be followed by a series of Conventions, embracing every part of the country. Firmly relying upon the final triumph of the Right and the True, we do this day affix our signatures to this declaration. Resolved, That the speedy success of our cause depends upon the zealous and untiring efforts of both men and women, for the overthrow of the monopoly of the pulpit, and for the securing to woman an equal participation with men in the various trades, professions and commerce. Report of the Woman’s Rights Convention, Held at Seneca Falls, N.Y., July 19th and 20th, 1848 (Rochester, 1848). Prepared for the Selected Papers of Elizabeth Cady Stanton and Susan B. Anthony, vol. 1, In the School of Anti-Slavery, 1840 to 1866, ed. Ann D. Gordon (New Brunswick, N.J., 1997). ©Rutgers, The State University of New Jersey. This listing was provided by Betty Auten, Seneca County historian. About Renee Davis Renee Davis was most recently the Executive V.P. of Programs at UniteWomen.org and on the Board of Directors. 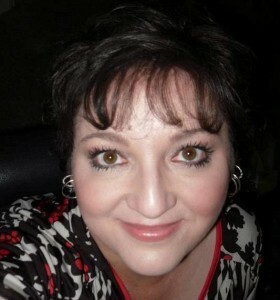 She is currently on her way to Puerto Rico where she will be attending graduate school to obtain her M.A. in History and Archeology and teaching High School World & Caribbean History as well as World Religions classes. Hello, thank you for this article. I work for a French magazine, “Femmes ici et ailleurs”. 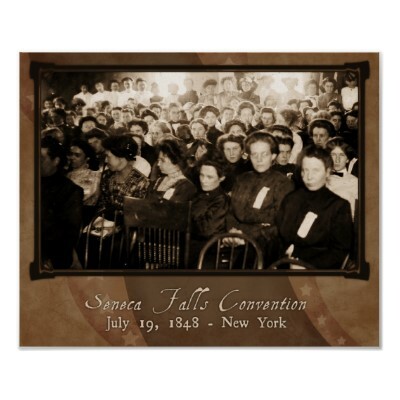 We would like to publish an article on Seneca Falls Convention and we’re looking for pictures. I saw you published a photo on this page. Could you please tell us how to find it in HQ? Thank you very much. Yours sincerely, Roberta Zambelli. I have message Renee who wrote the piece and is our resident historian for her source.